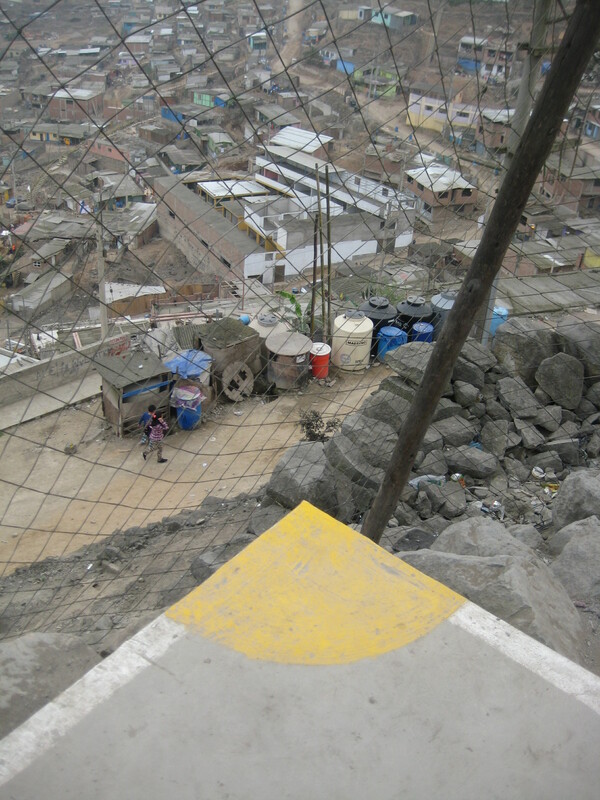 Scenery changed to dirt, our cab weaved obstacles, and uphill we climbed. The bumpy ride jolted not only my body, but the awareness of my surroundings. 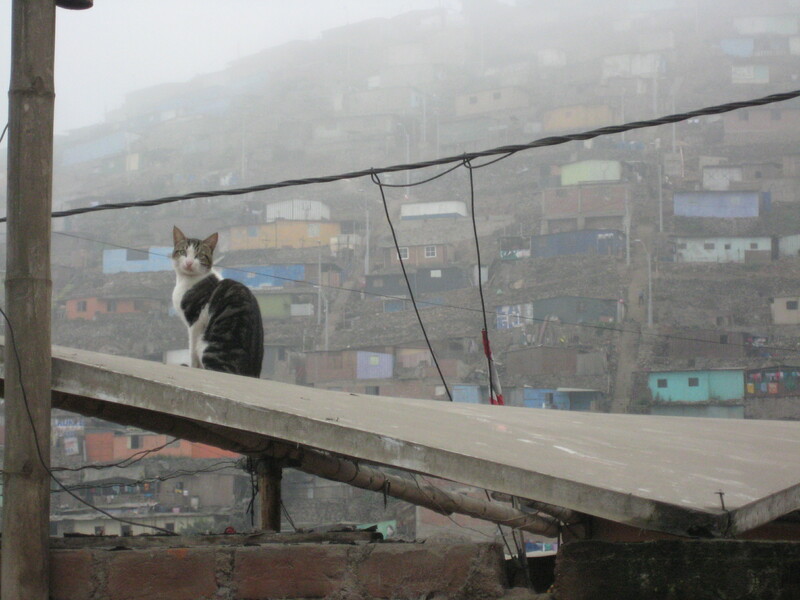 My jaw fell to the floor of our rickety cab, viewing a landscape that mirrored a Third World. We met master of the kitchen; Victoria, mother of 10 standing in open shoes, and a dark sweater. You could literally see her heart. There was running water, so we washed hands before dicing leeks, carrots and pumpkin. Beneath my nostrils dropped a bucket of unidentifiable meat. Flies circled above the bin. Communicating via charades and smiles, I copied Victoria’s demo, and with a dull knife sliced eraser-like mystery meat, cutting through circular tubes. I felt squeamish. My friend said to stop, but our team had agreed effective characteristics included; open mindedness, perseverance, flexibility and patience, so I couldn’t give up, and dug deep. However, when a choice arose; I eagerly offered to paint. 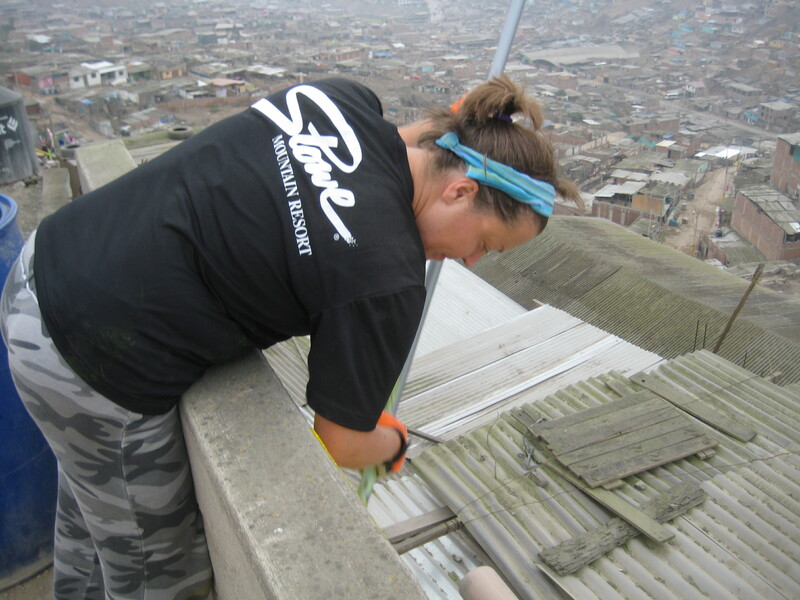 The mission of Global Volunteers is to work alongside community leaders, and locals wherever there is need. This was not Disney, nor a vacation destination. 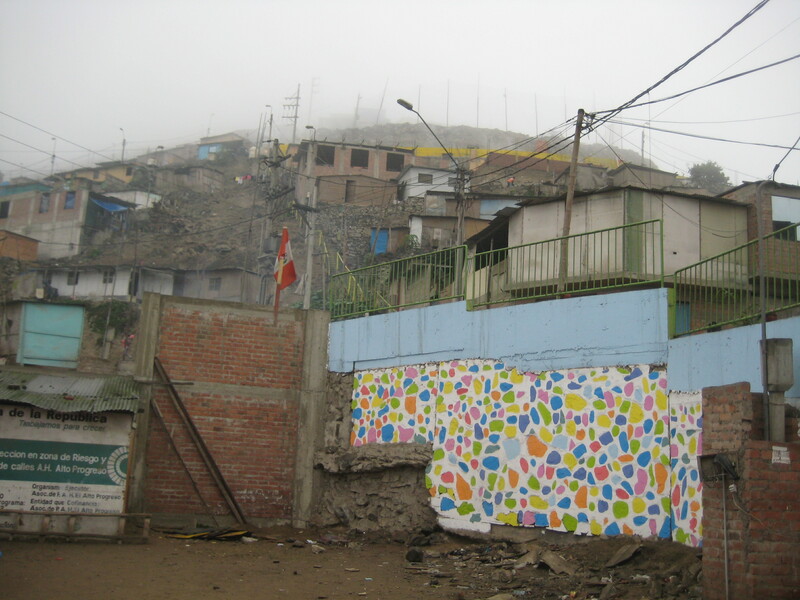 This was a hill of shanty structures, a dismal backdrop of poverty, home to souls I may not have found on a map. 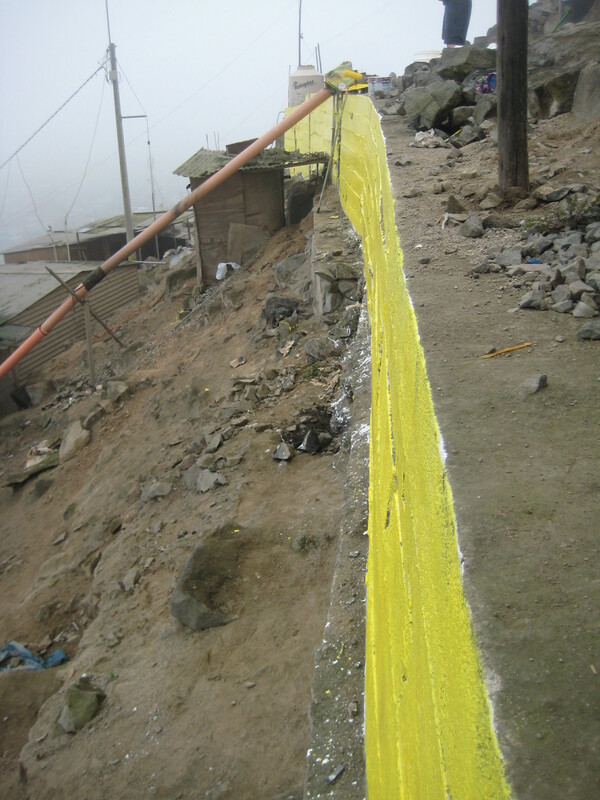 Our task was to paint a wall, a safety wall yellow, per government requirement. We brushed dust from the wall, and tore plastic from bags to securely assemble rollers on handles. 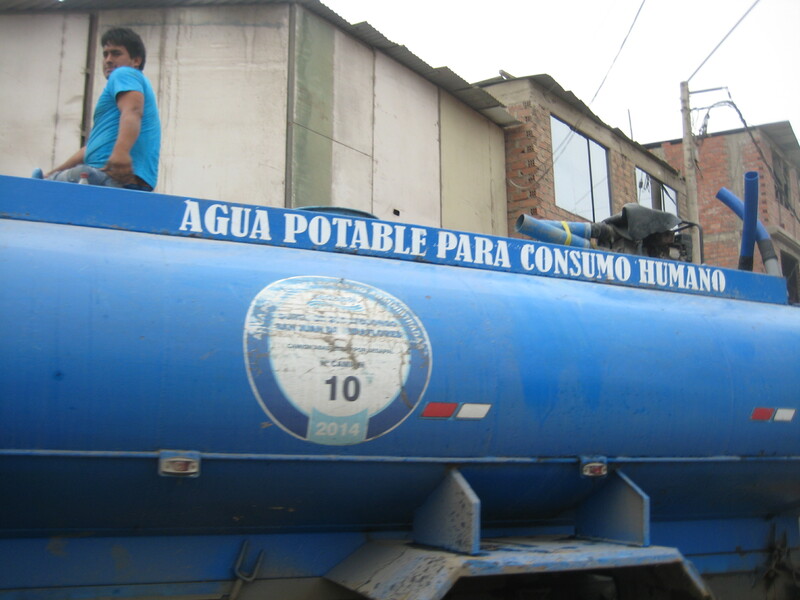 The valley was alive with roosters, barking dogs, and beeping water trucks filling barrels. 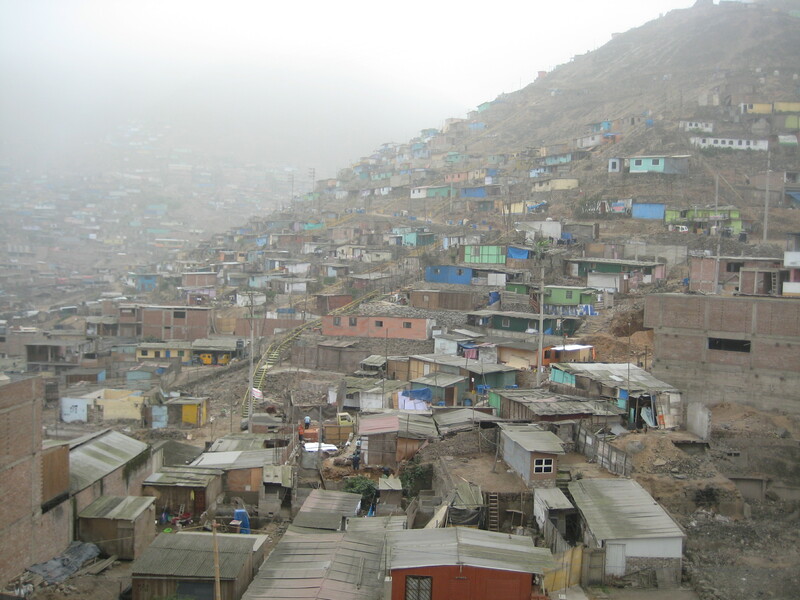 The gray across the valley echoed the somberness I felt viewing what locals call a shanty town. I felt tired climbing, and don’t love manual labor. However, placed in this situation inhaling dirt in a community that can’t afford paint, it took one second to put work gloves on and dig in. My roller fell and hung itself on a nail. I was in a strange place absorbing a transition from hotel to a view that brought tears. It was hard work leaning waist height over a cement wall for hours. I struggled filtering marathon emotions running through my mind and sore back. Between stokes, I saw women cooking from pots on dirt floors. Toilets were outhouses, and children played near cliff edges. 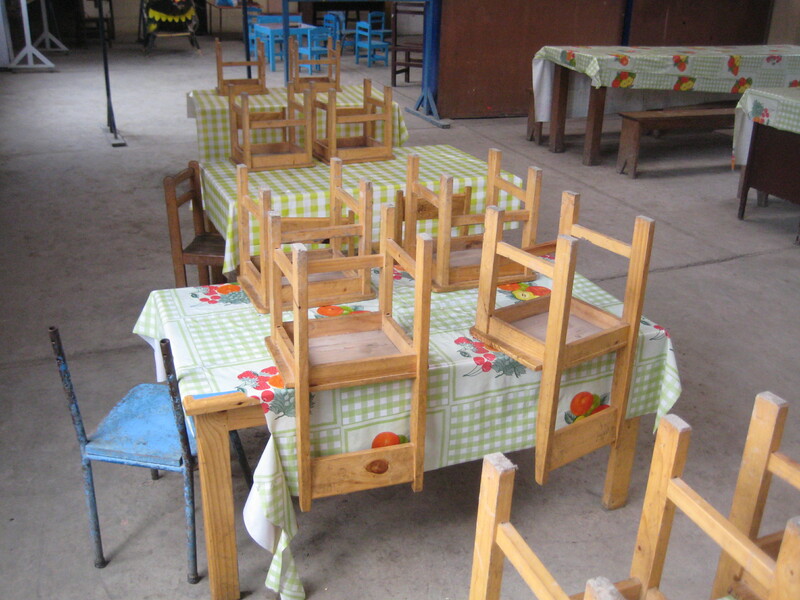 Children with big brown eyes filled with the worlds questions, stood in uniforms watching us work. Every single one said; “Buenos Dias.” Feral dogs, sicker than I’ve seen, curiously strolled by. One rested in a dirt pile on a paint spill. When he stood, a yellow streak had painted his back like a skunk. 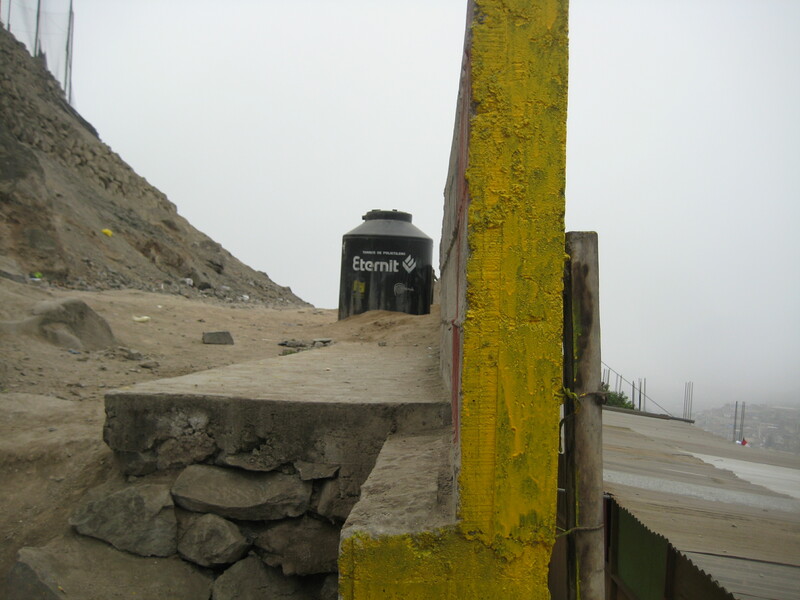 I have never seen tires used as foundations. 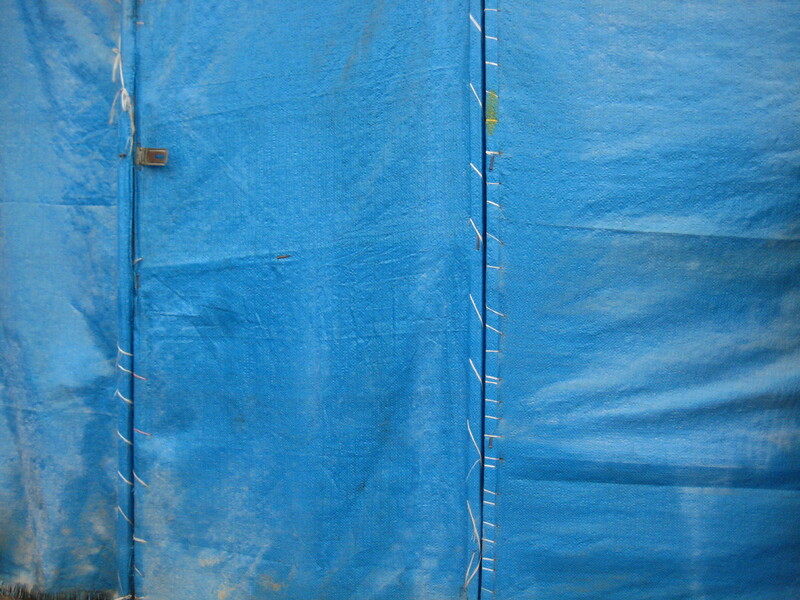 Homes were blue tarps, and roofs at best, were sheets of metal. Following lunch we climbed to the soccer court. The community created this space by hand, a fifteen year project. Our leader stressed the importance of a place where everyone can exercise and socialize. I realized there was none like it on the hillside. Everything was about survival. There were no clothes stores, theaters or churches. The community looks after one another, and takes care of their sick. There were no hospitals. 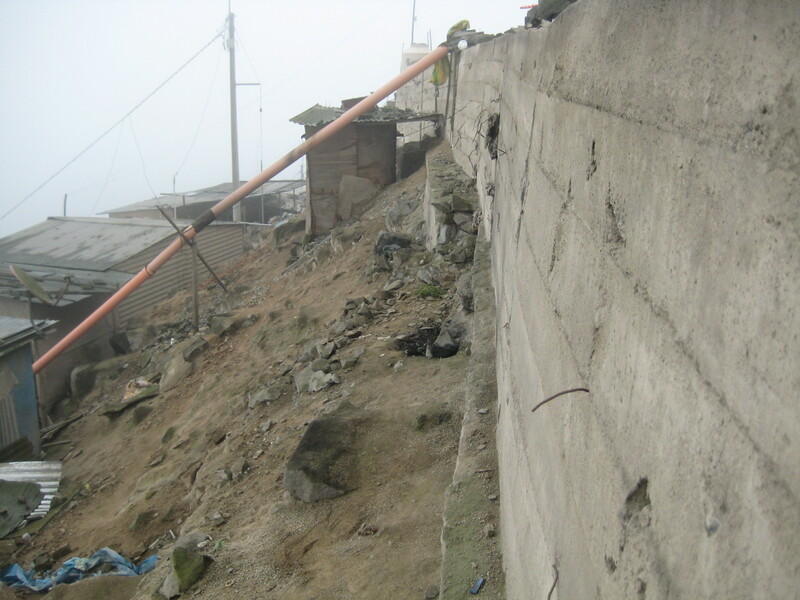 Buckets of sand replaced fire departments, and a police presence did not patrol this town. 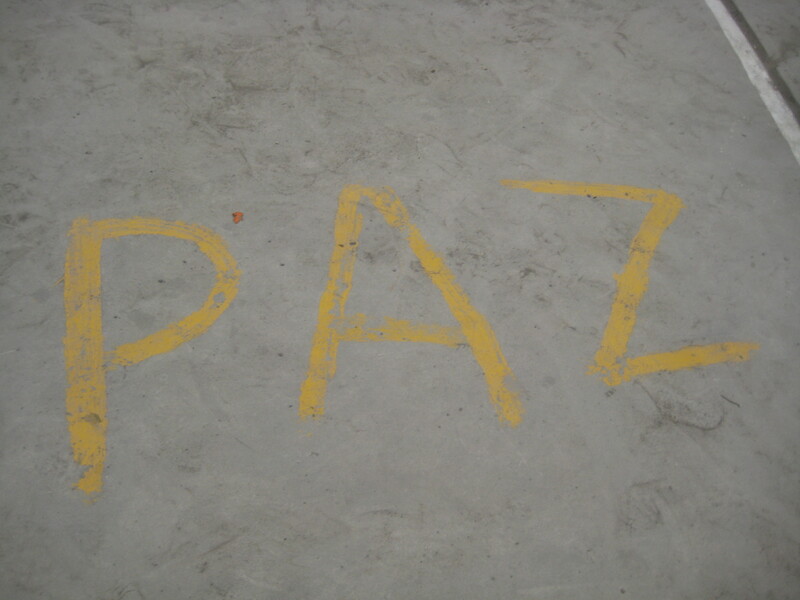 I looked around and was taken back by the words on the court; Paz y Amor; opening tear ducts, watering the cement. A community that seemed to lack necessities, were light years beyond my society filled with with iPad’s and entitlement. Where one might take a corner kick, was a cliffs edge. 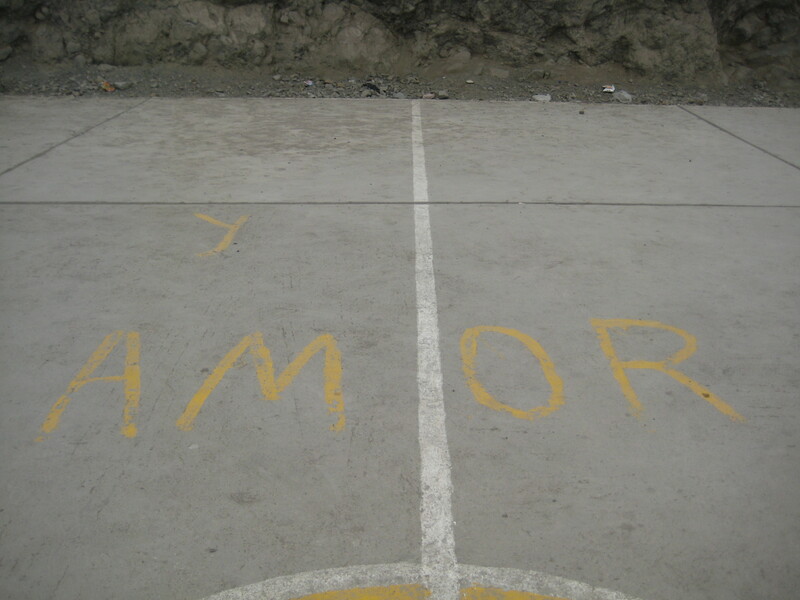 A rusty fence and goals without netting circled a court created without machinery. 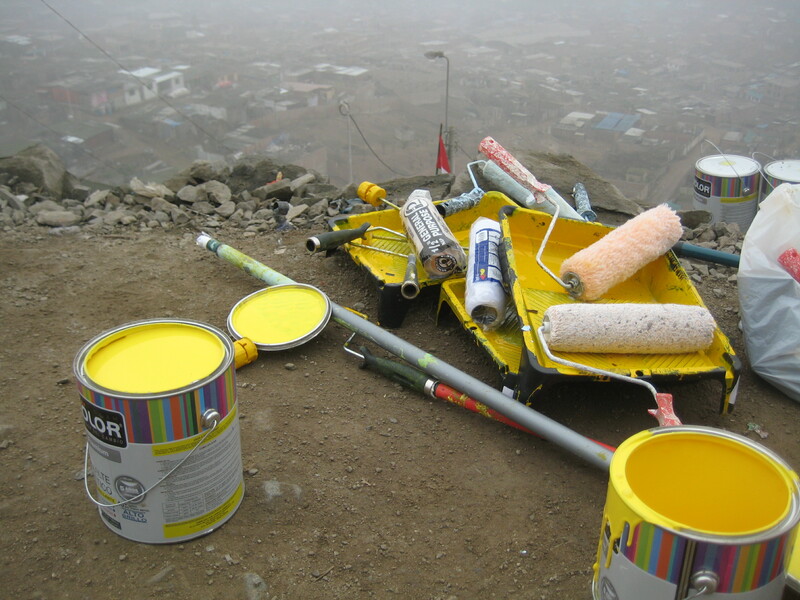 Supplies were carried up by hand, rocks were dug out from the hillside. Years of commitment, teamwork, and vision. 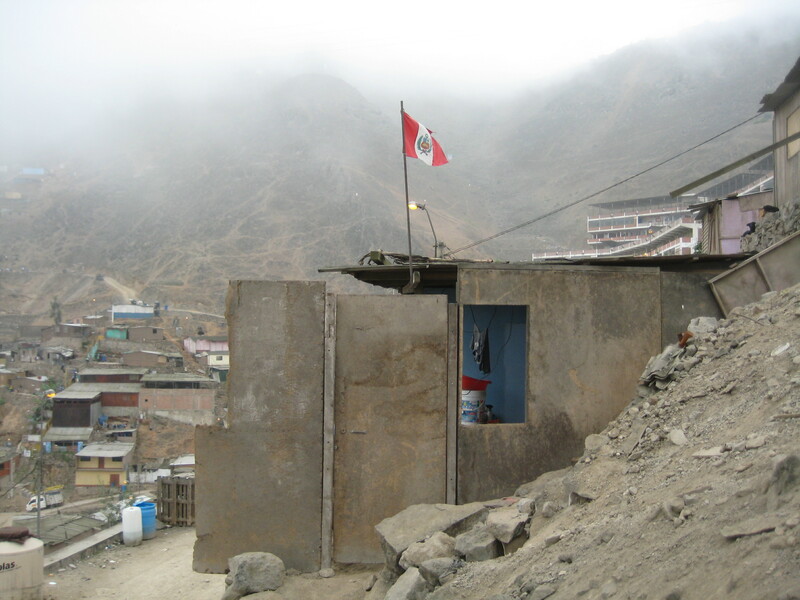 I was absolutely blown away by Peruvian pride, strength, and resiliency. 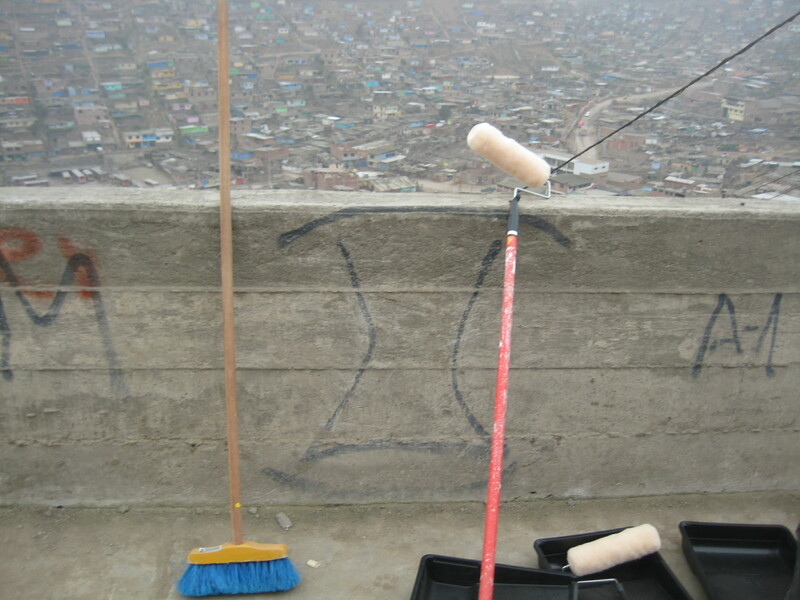 Our second day we painted a different section, balancing our footing carefully on the hillside, fingers placed in holes in the wall for stability. 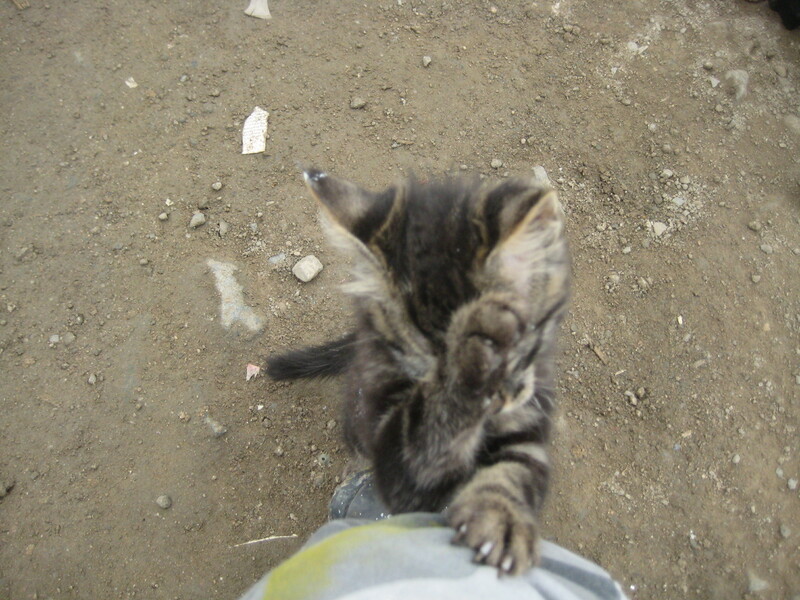 My fuzzy foreman; a small kitten put a paw over her eyes as if to say; OSHA would not approve…She kept me safe as her eyes and head followed my brush strokes; bringing me smiles through the tough stuff. Our driver, Joel sang with us during our commute, transporting my mind to a comfortable place, through music. 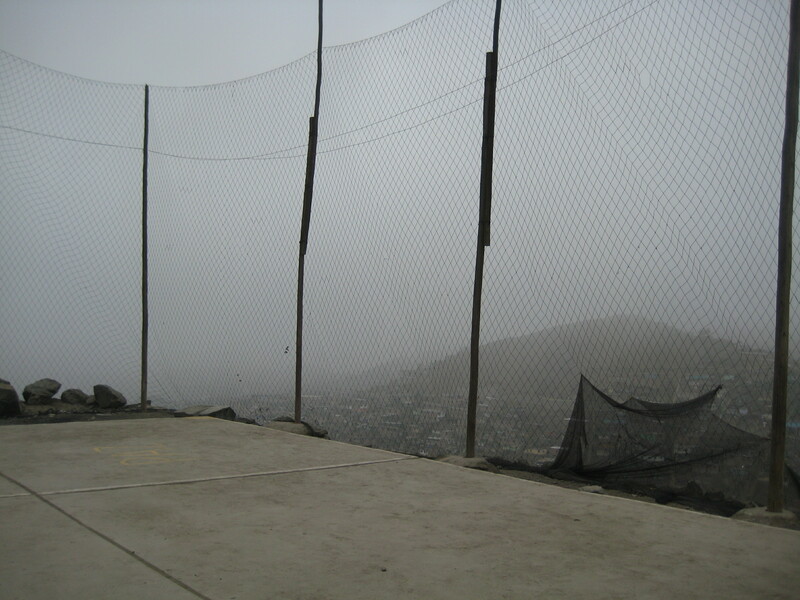 The same driver extended our ride around Miraflores so we could see the ocean. A driver whose dream is to surf, yet lives near the Pacific. A driver who plays guitar, speaks impeccable English, and remembered our names. All this goodness, and he wore the same sweater daily, and his cab was one bump from destruction. What tore at my heart strings was putting names to faces. Meeting souls who have witnessed extremes and heartache beyond imaginable, yet still laugh. I mean really laugh, and share the worlds kindest smiles. 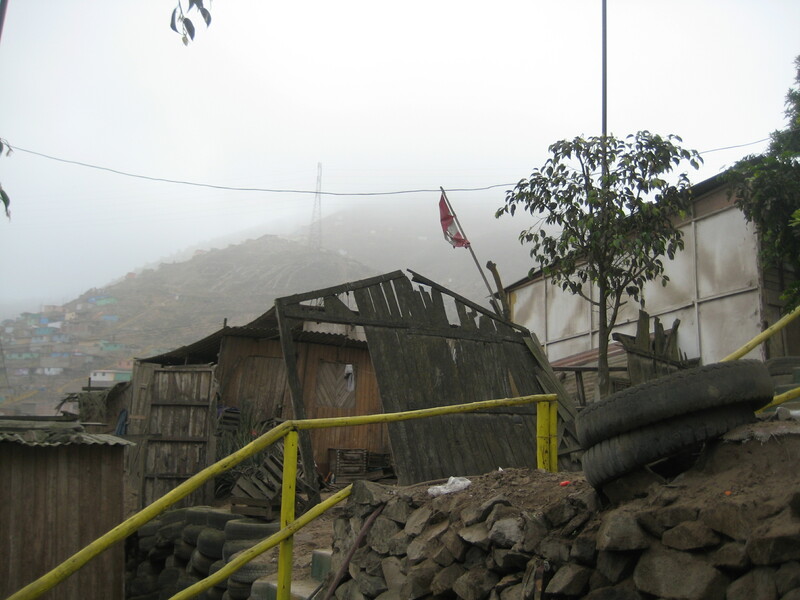 It’s there I got caught up emotionally…the dichotomy I felt everywhere in Peru.